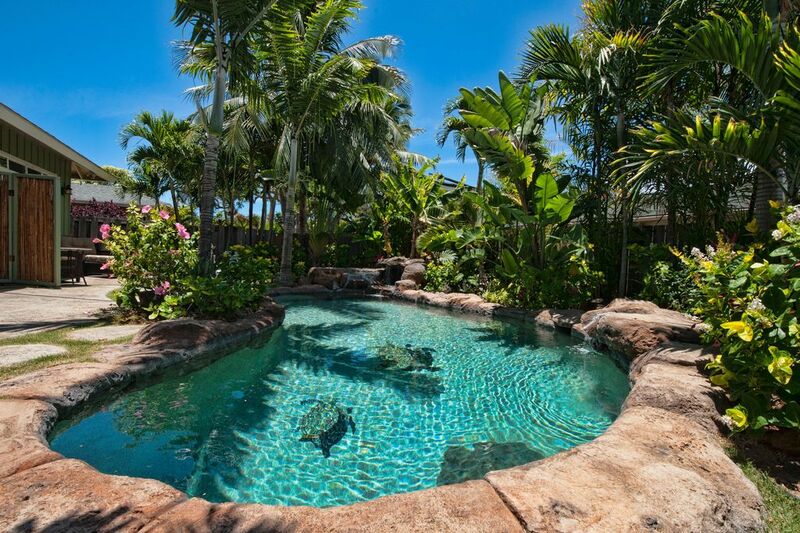 Pulling into this 10,000 square-foot property you’ll be surrounded by coconut trees, travellers palms, banana trees, heleconia flowers, a koi pond and many other native Hawaiian plants. Walking through the tropical gardens to your one-bedroom unit boasting 975 square feet of living space with a lanai (Hawaiian for porch) overlooking the shared sparkling salt-water pool & waterfall. Booking Details: There is no smoking on site and maximum occupancy for this unit is two people.